JAMMU, APRIL 16: Welcoming the Army Chief General Bipin Rawat’s statement that gun was not a solution and neither the Army nor the militants would achieve their goals through it in Kashmir, the State Government today said this is the pertinent expression of the overwhelming sentiment in Jammu and Kashmir. “It is a welcome announcement coinciding with a similar assertion made by General Rawat’s Pakistani counterpart, General Qamar JavedBajwa, and it is something the people of J&K, entangled in blood-spattered violence, have been longing for years,” Minister for Works and the State Government spokesman Naeem Akhtar said today. 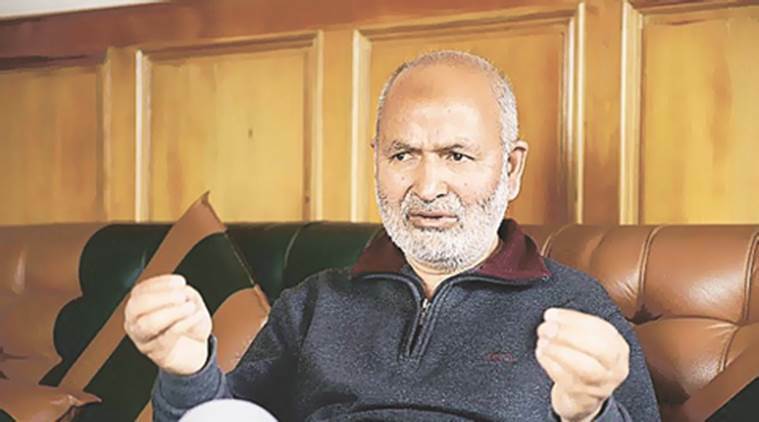 Akhtar said it has been the present Coalition Government’s persistent endeavor right from the beginning to see that the people of the state are pulled out of the quagmire of death and destruction. “It is now for all the stakeholders, even those with differing political ideologies, to join this new moment of peace and reconciliation through emerging positive discourse,” he said. Akhtar said that those trying to seek political objectives through gun must realize that when violence enters a discourse it not only destroys the lives, but the social fabric, the economy, the culture and civilization of the same society that perpetuates it. “Guns havenot solved any problem or issue in the world and only dialogue and reconciliation isthe way forward,” he said and added that there is a need to build on the Army Chief’s statement and strengthen the process by initiating more political measures and engaging every section of the society in order to ensure sustainable peace in J&K," he said. Dignified peace through reconciliation, he said, was the only way to improve the situation in Kashmir that had been witnessing death and destruction for about three decades now.